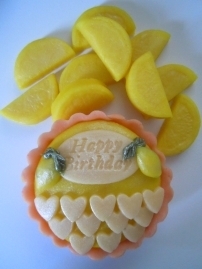 Our version of the classic lemon meringue pie with lots of lovely slices of "lemon", made from 100% marzipan! 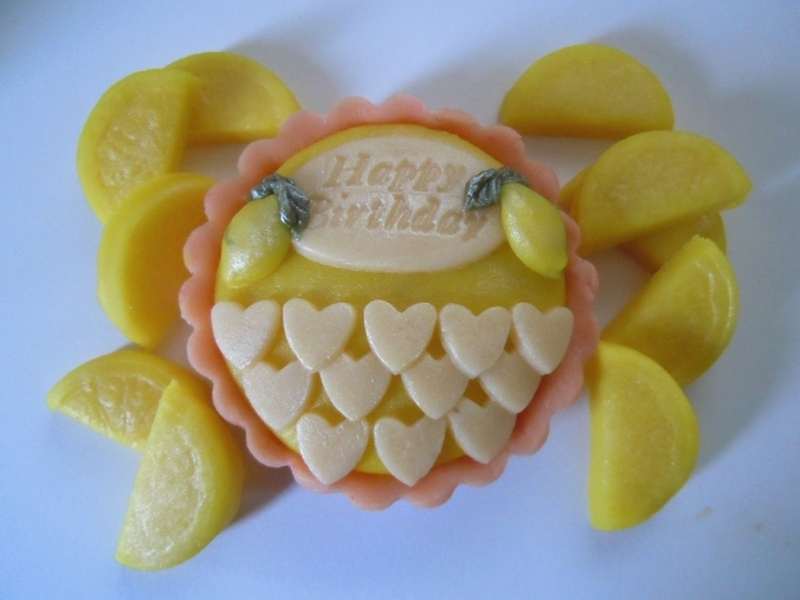 Choose lemon flavoured marzipan, or plain almond if you prefer and add a "Happy Birthday" or other short message of your own for a unique gift. 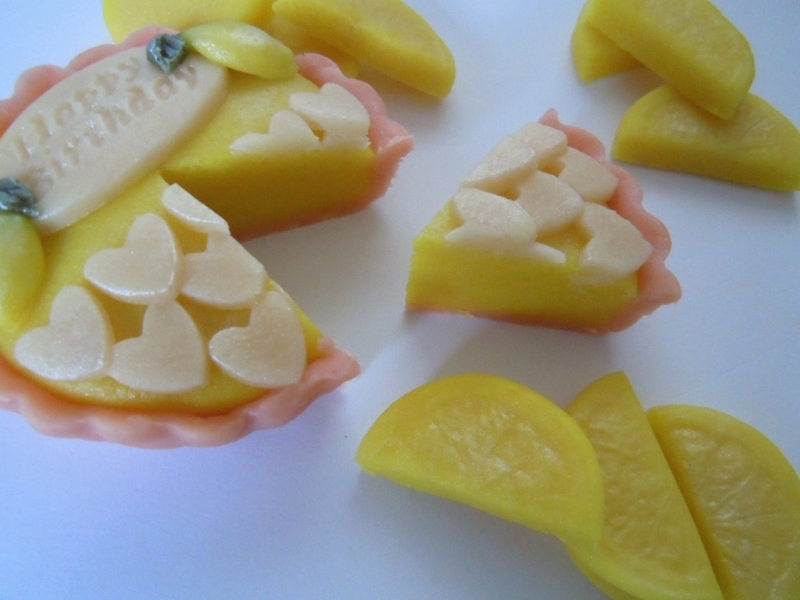 Available in plain almond marzipan or lemon flavoured marzipan. Approximately 7 cms in diameter.